Many people do not consider their return on investment (ROI) when conducting their PPC campaigns. Until you do this, you cannot understand whether your efforts have the intended results. Often the easiest way to determine your PPC’s ROI is to work backwards. Determine the number of sales that you need this week. Then, determine the number of presentations that you must have to make that number of sales and the number of people that must click on your ad to allow you to make that number of presentations. Finally, you should know the number of times the ad needs to show to elicit that number of clicks. The first analytic that you need to pay attention to is the click rate for each ad. This percentage tells you the number of times that the ad displays compared to the number of times that someone clicks on the ad. It is important to be constantly trying to raise this rate. The average click rate is two per cent. Therefore, if you are running an average campaign, two people will click on your ad for every 100 people that see it. Generally, the higher the click-through rate, the lower the cost per click. There are several things that you can try to raise the click-through rate. Click rates increase when the PPC ad has a creative call to action when it displays the URL, and when it contains clear images and designs. Business owners also need to look at the cost per click, as this tells them how much money each click is costing the company. This is how you buy the keywords that you want to use during your campaign. Your bid cost per click may be higher than the actual cost per click. It is essential to choose target words based on the goals that you want to accomplish. 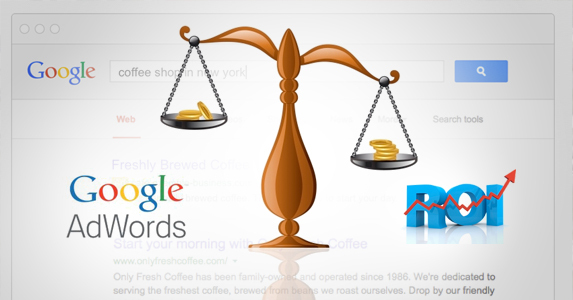 If you want to spend less money, then consider long-tail keywords. For example, the price for PPC management is going to be much higher than the cost of PPC management in India. Before choosing a lower cost keyword, keep in mind what customers you want to attract to your site. A third number that you need to consider is your quality score. The higher the quality score, the higher Google will place your ads. While Google keeps the exact formula that they use to determine this score a secret, there are three factors that pay a large role in determining it. The first factor is the past click-through rate of the keyword, which business owners can find by dividing the number of clicks by the number of times that the ad is shown. The second factor is the quality of the landing page that you create for the campaign. The final factor is the relevancy of the keywords to your business. To raise your ROI on PPC, you need to concentrate on choosing the highest quality keywords that you can afford. Then, create ads with clear call to actions that will capture the attention of your intended audience. Finally, create landing pages that are highly relevant.